Here are the colors for Sunday Stamps SSC125. 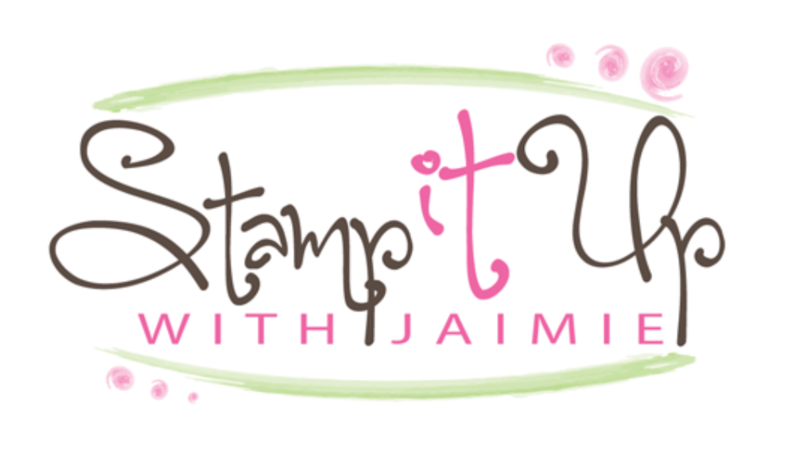 Be sure to stop by the Sunday Stamps blog to check out what the other Design Team Members have created and be sure to play along too! The design for my card was inspired by Mojo Monday #444. I started by stamping the large circular image from the Moroccan Nights stamp set (available June 1) several times in VersaMark Ink on a panel of Whisper White card stock. 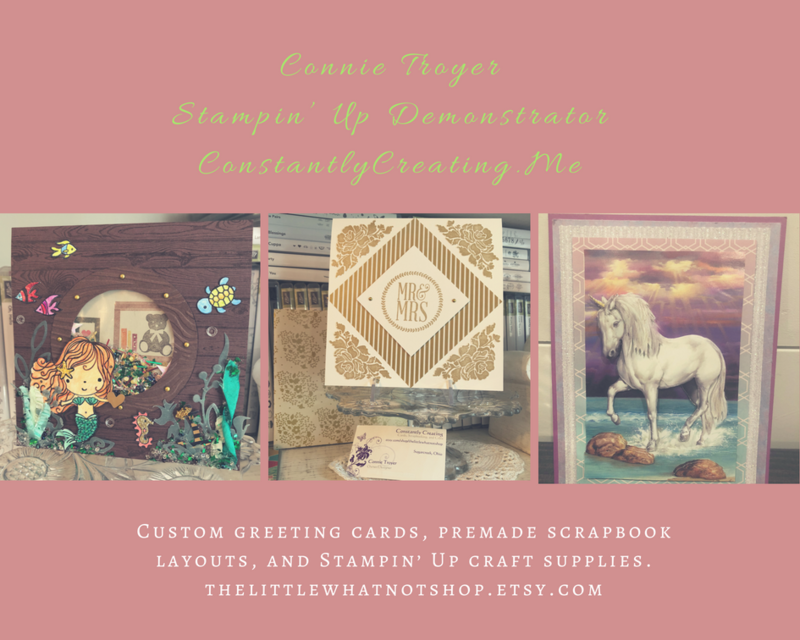 I sprinkled the images with Clear Stampin’ Embossing Powder and heat embossed them, then cut the panel into three pieces. I sponged one panel with Dapper Denim ink, one panel with Emerald Envy ink and one panel with Flirty Flamigo ink (inks available June 1), wiped the excess ink from the embossed areas and adhered the sponged panels to panels of Whisper White card stock with SNAIL. I inked the line image from the Moroccan Nights stamp set in Sahara Sand ink, stamped it on scrap paper, then stamped it on the front of a Sahara Sand card base several times (it’s a little hard to see in the photos since it’s pretty subtle). Then I adhered the sponged panels to the card front with SNAIL. I punched the ends of a strip of Silver Foil Sheets and White Vellum with the Banner Triple Punch and adhered them with SNAIL to the card front. I stamped the sentiment from the Enjoy the Little Things photopolymer stamp set (retiring) in VersaMark Ink on a panel of Whisper White card stock, embossed it with Clear Stampin’ Embossing Powder, cut it out with a Circles Collection Framelits Die (retiring) and sponged it with Sweet Sugarplum ink (available June 1). I adhered the die cut circle to a 2-1/2″ Circle Punch (retiring) with SNAIL and to the card front with Stampin’ Dimensionals. I pulled a strand of Whisper White Baker’s Twine through a Whisper White button from the Neutrals Designer Series Buttons (retiring), tied a bow and adhered it to the card front with a Glue Dot. I stamped the line image from the Moroccan Nights stamp set in Sahara Sand ink across a Whisper White card stock panel inside the card. This entry was posted in Congratulations, For a Friend, For You and tagged Alpharetta, Alpharetta ga, Amy Koenders, Atlanta, Atlanta GA, card making, card making supplies, CAS, Demonstrator, Duluth GA, Enjoy the Little Things, Georgia, hand made card, Johns Creek, johns creek ga, Moroccan Nights, stamp with amy, stamp with amy k, Stampin Up, stampin up atlanta, stampin up blog, stampin' up amy, stampin' up demonstrator. Bookmark the permalink. Wow, gorgeous card Amy! I love that you were able to give us a sneak peek and fit in challenges/sketches as well – you multitasker you, lol! 😉 I love the softness of the panels using the new in colors. You card will definitely be added to my CASE file!! Wow! This is really neat! Love the effect you achieved. Ooooh, I love that new medallion-type stamp in that set. Love the new in-colors, they are so fresh and bright! Thanks for giving us so many sneak peeks, your card is gorgeous. I love the new in-colors and can’t wait to share it all with my customers. Thanks for all the updates. I definitely need to go to the November OnStage. Now I wonder where and when the next one will be after that. Hee hee, I try! 🙂 So glad that you’re enjoying the sneak peeks. You definitely need to go to the November event, you’ll have a blast! Very pretty! Love your color combo with the large medallion type image! super pretty, I love the colored panels!